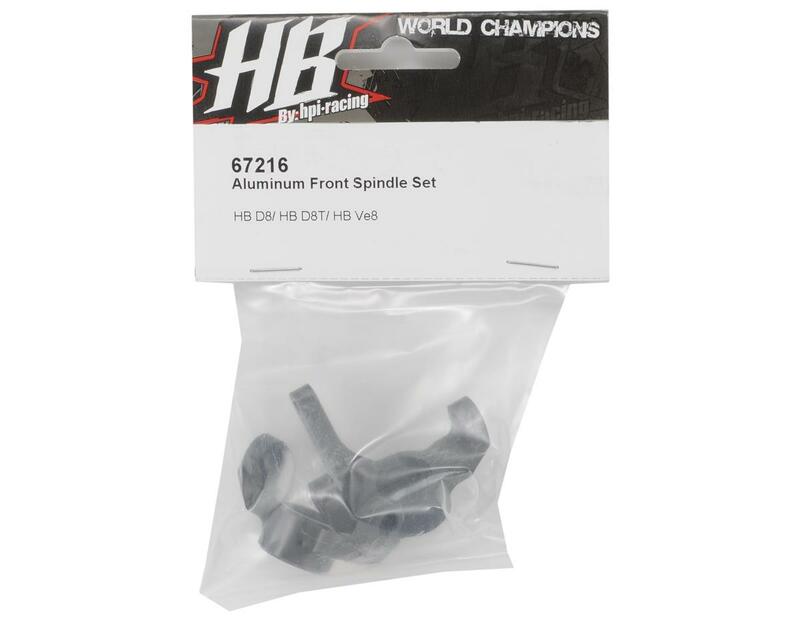 This is a set of optional Hot Bodies Aluminum Front Spindles, and are intended for use with the Hot Bodies D8, D8T and Ve8 1/8 scale vehicles. 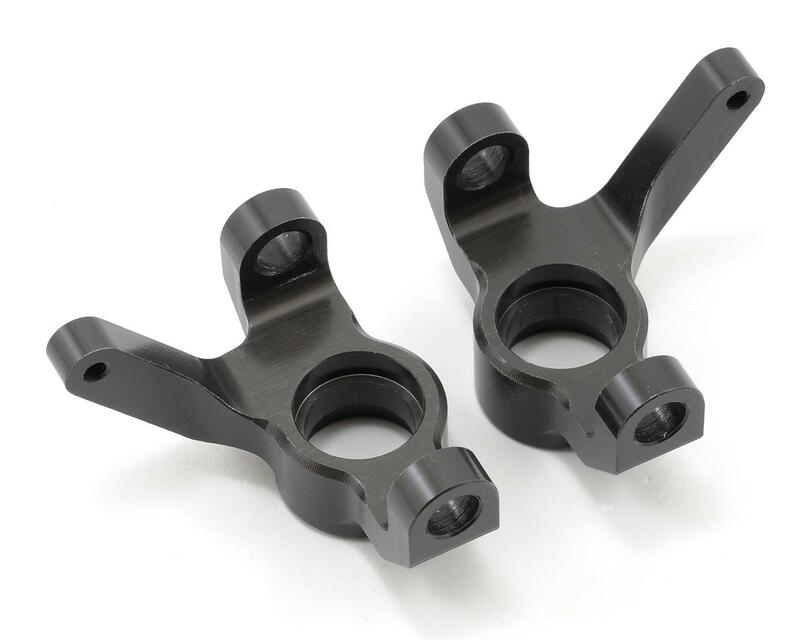 Bring your front end to indestructible status without adding excess weight with these hard anodized billet aluminum front spindles. Also (tho they are never listed) these fit HPI Vorza as well and are way way better than stock!